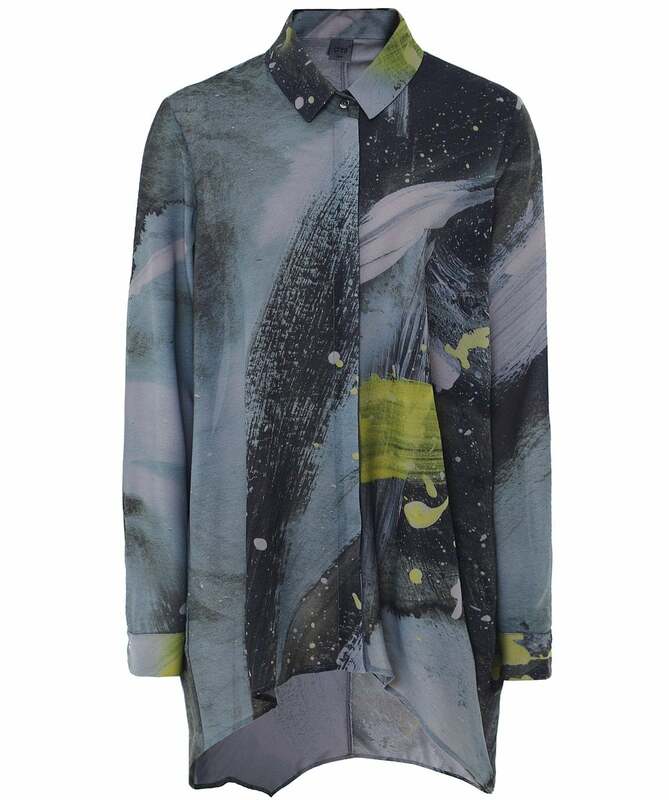 Refresh your smart-casual wardrobe with the Crea Concept Polly paint splash shirt. Featuring classic details such as a pointed collar and concealed button placket, the shirt is a comfortable and versatile garment that can be dressed up or down. An abstract paint splash print and a curved drop hem provide a contemporary twist.